What should I look for when purchasing Valuable Collections Insurance? - Scarsdale Premier Insurance Agency | Advocate Brokerage Corp.
What should I look for when purchasing Valuable Collections Insurance? It’s February, the month of love, gifts and jewelry. We have already posted a blog answering the question: Do I have the right coverage for my jewelry collection? But because Advocate Brokerage is determined to provide the type of coverage that allows our customers to live, and let us take care of the details, we thought we would review some of the details regarding Valuable Collections Insurance. We are proud to partner with the best insurance providers catering to the needs of the High-Net Worth individual. Below are some of the concerns that often cross our customer’s mind when looking into this type of coverage. What is Valuable Collections Insurance? Let’s get the definition out of the way; Valuable Collections Insurance is a type of policy that gives customers a broader base of coverage for their valuables including jewelry. Losses are not subject to a deductible and the coverage is not limited to damage done at home. It offers worldwide protection so that if you are traveling and your engagement ring becomes lost or damaged, you are still covered. Generally, the item is insured on an “Agreed Value” basis, meaning the company will pay you the amount the item is scheduled for even if you chose to buy something else or just keep the cash. Some companies insure on an “Actual Cash Value” basis, which enables them to reserve the right to replace the item for you. “Agreed Value” is the form we recommend. Additionally if the value of the item has increased from the time it was insured, some of the “elite” companies will cover up to 150% of the scheduled value. There are two main types of coverage for jewelry; scheduled & blanket coverage. Scheduled Coverage or Itemized Coverage, provides coverage for a list of items with details as well as the current replacement cost for each item on the list. When a loss happens, you identify the item on the list and the settlement will be based on the scheduled amount of the item. Blanket Coverage provides you with an overall limit of coverage for a particular class of items. In the event of a loss of a single item, the settlement would be between 10 – 25% (depending on the details of your particular policy) of the blanket coverage amount of that class. The danger of blanket coverage is that there is usually a per item maximum limit. Advocate Brokerage would be happy to help you determine whether Scheduled or Blanket Coverage is right for your particular collection. 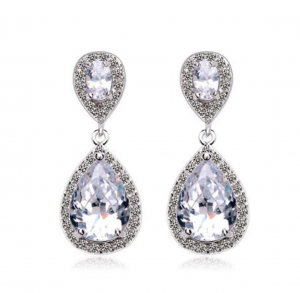 One of the concerns we often hear is regarding the loss of one earring. Valuable Collections Coverage offers policy owners several options for recovering the loss. You can choose to purchase a new matching earring to replace the lost one or keep the remaining earring and receive a settlement for the missing one or give back the remaining earring and receive a settlement for the value of the pair. You usually have the flexibility to choose the best option for you. If you already have a Valuable Collections policy in place, you have the added benefit of automatic coverage for newly purchased items. While the length of time allowed varies (between 30 and 90 days) depending on the carrier, the grace period gives you time to inform us of any newly acquired or inherited pieces. You can often receive discounts on a Valuables Collection Policy by storing your jewelry collection in a UL-Rated home safe or by protecting them with a central station monitored burglar and fire alarm system. If you still have questions on some of the details regarding Valuable Collections Insurance, please give us a call. We are here to be sure you sleep easy knowing that Advocate Brokerage has put together coverage that protects the items that you hold dear. So go on: Live and rest assured that we have taken care of the details!